This fall, Utah Clean Energy and the University of Utah’s Sustainability Office are hosting a first-of-its kind lecture series featuring three climate change innovators. Hear these national experts speak about their outside-the-box approaches to combat climate change and shape a positive future for the world. The award-winning national director of Green For All, Vien Truong, will speak on October 21st. Truong is one of the nation’s foremost experts fighting for climate justice in low-income communities. Hear from Troung on how we can safeguard the most vulnerable from the worst impacts of climate change. Bestselling author of Green Sense for Your Home and founder of organicARCHITECT, Eric Corey Freed, will speak on November 5th. Freed promotes both an organic and ecological approach to design and is considered a pioneer in the tradition of Organic Architecture. Sign up for this three part lecture series on innovative solutions to our world’s most pressing challenges. Tickets are $5 per event and free for University of Utah students (registration required). 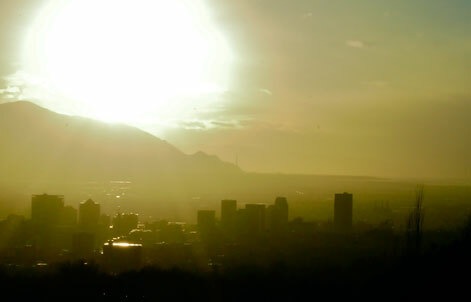 SALT LAKE CITY – Today, Salt Lake City Mayor Ralph Becker released a letter signed by more than 50 U.S. mayors from around the country signaling support for President Obama setting the strongest possible clean air protections against smog pollution, also known as ground-level ozone. According to the American Lung Association, inhaling smog pollution is like getting a sunburn on your lungs and often results in immediate breathing trouble. Long term exposure to smog pollution is linked to chronic respiratory diseases like asthma, reproductive and developmental harm, and even premature death. Children, seniors, and people with asthma are especially vulnerable to smog’s health impacts. 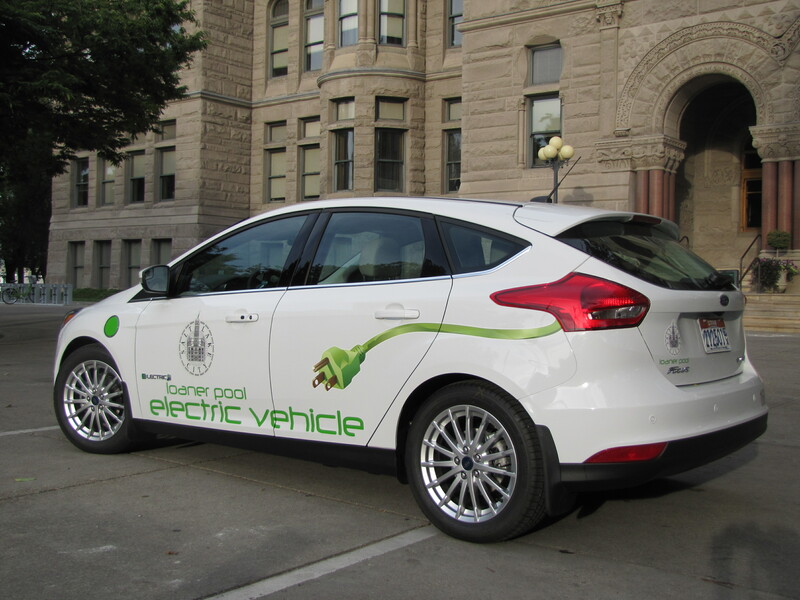 Salt Lake City is taking action to reduce its impact on air quality by increasing electric vehicle infrastructure, reducing fleet tailpipe emissions and replacing two-stroke maintenance equipment with more efficient models. Explore all of the actions Salt Lake City is taking to reduce air pollution at www.SLCgreen.com. The letter was signed by a diverse coalition of local leaders and supports efforts by President Obama and the U.S. Environmental Protection Agency to stay true to the science and issue protections consistent with the recommendations from leading public health organizations like the American Lung Association, the American Academy of Pediatrics, and American Health Association. “I applaud President Obama and the United States Environmental Protection Agency for announcing the Clean Power Plan today. The Plan is a forward-looking and common sense policy to address one of the most critical issues facing local communities: climate change. Like many other cities across the Nation, Salt Lake City is actively working to reduce greenhouse gas emissions responsible for contributing to climate change. 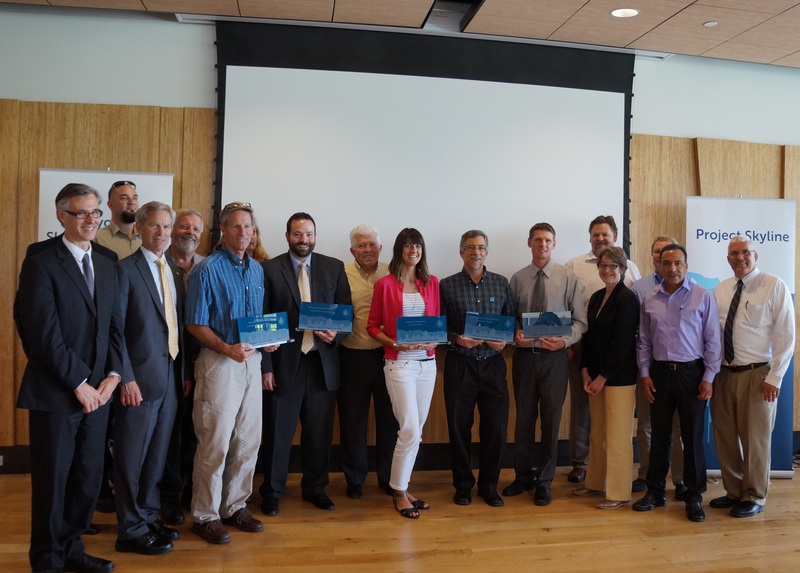 In particular, Salt Lake City continues to be a leader through many initiatives, including increasing energy efficiency of our existing municipal facilities, requiring all new municipal facilities to achieve “net zero” status, and promoting and investing in clean distributed solar energy. These investments not only cut pollution, and save money on our energy bills, but they make Salt Lake City an energy-smart and more livable city. In addition to his work with the City, Mayor Becker is serving as the president of the National League of Cities, which advocates on behalf of over 19,000 member cities, villages, and towns from across the country. Mayor Becker has asked the National League of Cities to act as “an army of advocates” to encourage better climate change policy and work with the administration to assist state, local, and tribal work on this critical issue. #ActOnClimate. Environmental Protection Agency, http://www2.epa.gov/cleanpowerplan, July 31, 2015. Yale Program on Climate Change Communication, http://environment.yale.edu/poe/v2014/?&est=CO2limits, August 3, 2015. Buildings represent a large and growing part of our local air quality problem. A new infographic, released at the Mayor’s Project Skyline Awards Ceremony, presents statistics on building energy efficiency and economic benefits. For example, buildings contribute nearly 40% of pollutants on a typical winter day. By making buildings more energy efficient, we can conserve enough resources to power up to 37,000 homes every year. If Salt Lake City were to adopt energy savings best practices, building owners across the city could save up to $48 million dollars annually. As many know, Salt Lake City has significantly poor air quality, especially during the winter months; however, fewer know how dramatically we can improve our air quality by improving the energy efficiency of our buildings. By making large buildings in Salt Lake City more energy efficient, we could remove one million pounds of pollutants, which equates to taking 32,000 vehicles off the road for one year. Additionally, we would prevent 650 million pounds of CO2 from entering the atmosphere each year! View the complete infographic for additional facts. Join us and become a part of Project Skyline to save money, improve property values, and clean our air. With ongoing air quality problems, the City continues efforts to reduce its overall emissions. Seven new, all-electric vehicles are being added to the City’s fleet this year, replacing older, fossil fuel-burning vehicles and helping to achieve aggressive emission reduction goals set by Mayor Becker. Salt Lake City has a total of 224 clean vehicles as part of its fleet, including clean diesel, CNG, all-electric and hybrid-electric options. Since 2009, the percentage of clean fleet vehicles operated by the City has grown from just over 2% to more than 15% of the total fleet. The City has historically focused on integrating hybrid-electric vehicles, with 120 of these in the current fleet, but new all-electric sedans represent an even greater air quality benefit due to zero tailpipe emissions. Salt Lake City currently operates public EV charging stations at six separate locations. The City recently received a $200,000 grant from the Utah Division of Air Quality to expand public charging options and will use these funds to install 25 new charging ports throughout the City. Residents can review, and weigh-in on, the City’s work to reduce its overall carbon footprint via the Sustainable City Dashboard tool, here.